Good social media analytics are essential if we are to properly assess our performance on social media platforms. Click here to learn more. And click on the infographic for a larger version of it. 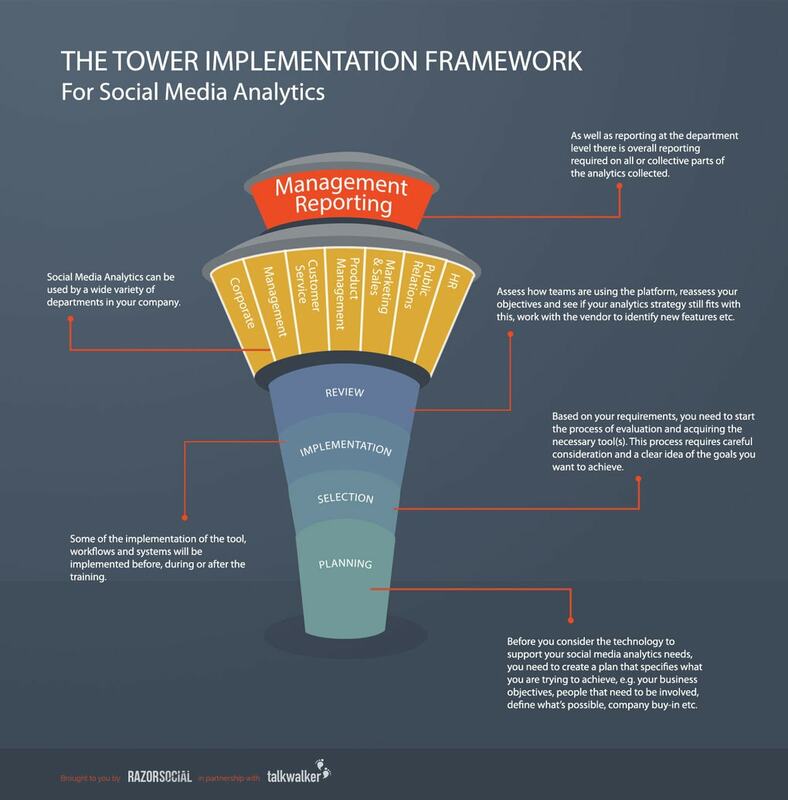 It seems the four towers are critical to proper usage of this analytics system. I would think that in certain instances a company may be too aggressive or not think through the type of analytics needed and be too general in the usage. This is a great framework but I would like to add a feedback loop in the framework as well. Without feedback there would be no improvement in the reports that get generated out of the framework especially if the reporting is off of the repeatable processes.